Am I ever glad that I didn't leave yesterday's feature for today! I have very little time as it is for this one ~ I'm heading off to a friend's place for the night and part of tomorrow. Fun fun! But, it means this post will be a little shorter than I'd like it. Lucky for me, Yaslani is really a shop you have to browse through yourself, there's just so much there! Stocked full of gorgeous bamboo pendants and mixed media art, you'll be sure to find that unique gift you were looking for! Plus, if you live in the US, you'll benefit from FREE shipping! 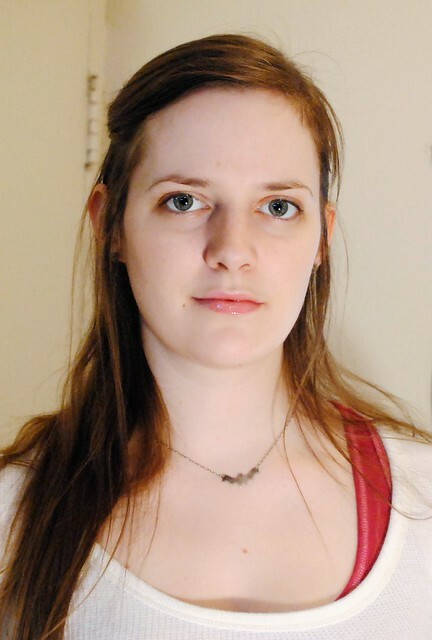 "My work consists of bamboo pendants and mixed media paintings. I use found objects, bamboo, ephemera, old paper, acrylic, goauche, pencils, pens, ink, glitter… and anything else within my grasp. 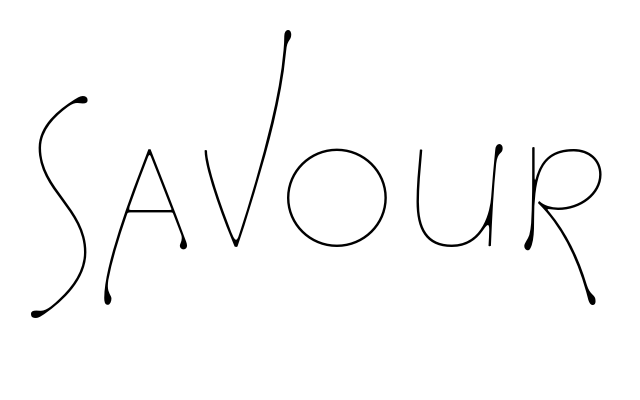 I’m influenced by pop culture, color, music, animals, fashion, movies, magazines and too many artists to mention. There are no heavy messages in my work. I consider my art to be an aesthetic conversation. A lovely chat between friends sometimes relaying a story or an inside joke. The only judgement I make with my art is “am I feeling this or not.” The “not” pile gets recycled for another day." Here are a few of my favourites, in pictures instead of words. 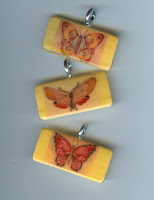 First off, some of her bamboo art pendants, which you can get as singles, doubles, trios or more. First, a trio of red butterflies ~ how pretty! 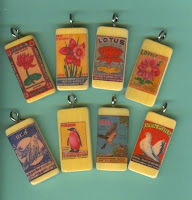 As you can see, each pendant is made from a bamboo tile. Definitely something original and unique, if you're looking to buy for someone who has everything! Want something eye-catching? 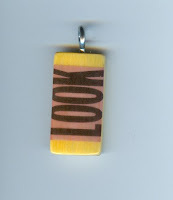 How about this LOOK pendant? Someone is bound to do so! I like this one because it's unisex ~ it would make a great gift for a secret santa!! 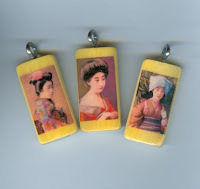 Next, a trio of lovely geishas. These woul d look stunning alone or in combination! And then a better look at the Conversation piece you see above. 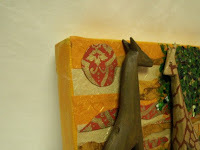 A mixed media canvas featuring 2 wooden giraffes over paint and paper. I love the fact that it's 3D. 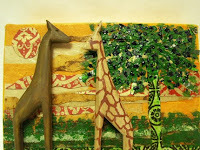 Be sure to check in store for more pieces with these lovely giraffes! Like I mentioned, there are over 300 items in store, so please go check it out! You're definitely going to find something you like! And don't forget to check out her blog too! Thank you for the awesome post! You're writing is fantastic! My favorites from Yaslani are those painting/dioramas. I just love them. Nice feature. 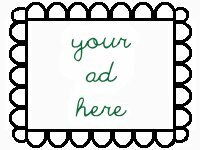 I'm loving your site! As if I wasn't addicted to etsy enough...sigh. Anyway, thought you might like a sneak peak at the cracker I made you for the swap...or don't want a peak, then this is a warning, I posted a peak on my blog lol!